MingmaNuru Excursions Pvt. Ltd.Expedition Archives - MingmaNuru Excursions Pvt. Ltd.
Mt. 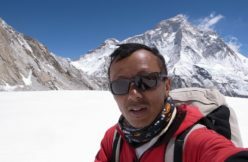 Manaslu (8,163m / 26,781ft) Located 28.32.58 longitude and 83.33.43 latitude Manaslu is situated in the central region of Nepal in the Gorkha massif is the eighth highest mountain in the world. 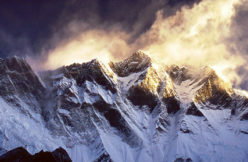 The name Manaslu was derived from the Sanskrit word "Maanas" meaning "soul" or "intellect". Japanese were the first..
Tibet -- normal route If you want to climb an 8000m mountain without attempting suicide then your choices are Shishapangma, Cho Oyu (both climbed from Tibet) or Gasherbrum II climbed from Pakistan.Shishapangma is the 14th highest mountain on the planet and is attributed to an altitude of 8201m. 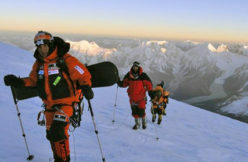 It is..
Tibet -- normal route Above: Shishapangma from the summit of Cho Oyu. 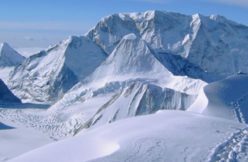 If you want to climb an 8000m mountain without attempting suicide then your choices are Cho Oyu, Shishapangma (both climbed from Tibet). 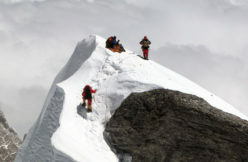 Cho Oyu is the 6th highest mountain on the planet & is attributed with an altitude..
Baruntse is at the height of 7129m. 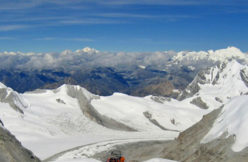 lies in between the lap of Everest and Makalu mountain. 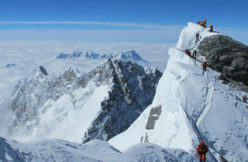 The most used route to climb this mountain is the south-east ridge because the first climber to this mountain used this same route. 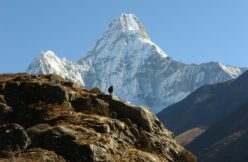 Since then many climbers have used this route and got..
3rd Highest Mountain Nepal Himalaya has been the center of attraction to the whole world for mountaineering adventure, expedition, and high altitude research. 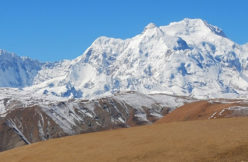 Kanchenjunga has five consecutive peaks in the short span of Kumbhakarna Himal range. 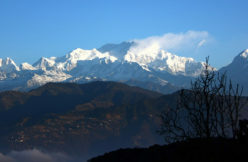 Five summits of Kanchenjunga chain is the glorious mountain known as "Five Treasure of..